Peridot: Mineral information, data and localities. 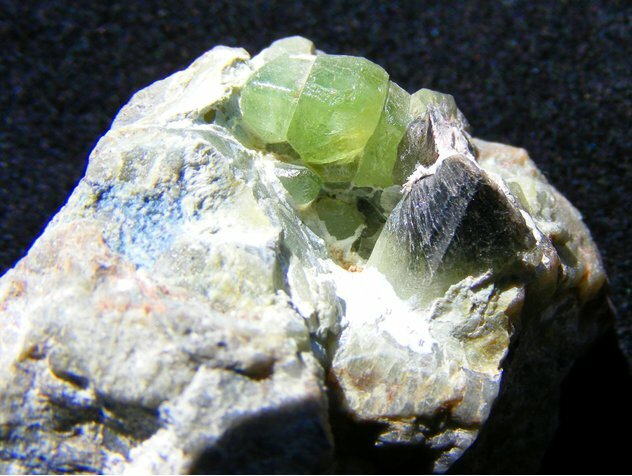 A green gem variety of Forsterite. Visit gemdat.org for gemological information about Peridot. Magnetite 33 photos of Peridot associated with Magnetite on mindat.org. Ludwigite 33 photos of Peridot associated with Ludwigite on mindat.org. Olivine 5 photos of Peridot associated with Olivine on mindat.org. Calcite 4 photos of Peridot associated with Calcite on mindat.org. Forsterite 3 photos of Peridot associated with Forsterite on mindat.org. 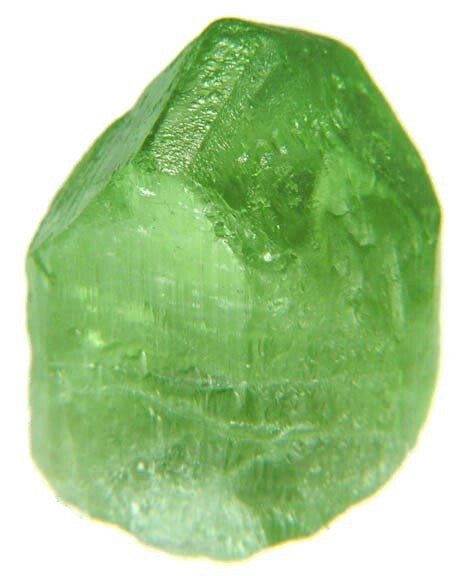 Hercynite 1 photo of Peridot associated with Hercynite on mindat.org. Talc 1 photo of Peridot associated with Talc on mindat.org. 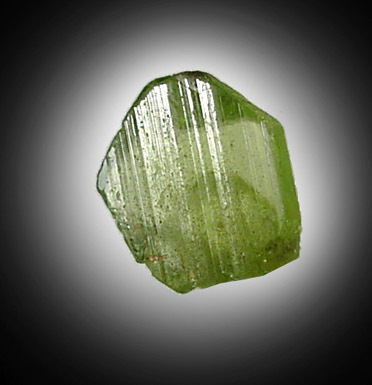 The following Peridot specimens are currently listed for sale on minfind.com. Austin, Gordon et al. "World Mining Report". Colored Stone (November–December 2005). Schiarizza, P., & Macauley, J. (2006). Geology and mineral occurrences of the Hendrix Lake area (NTS 093A/02), south-central British Columbia. British Columbia Geological Survey, Geological Fieldwork, 2007-1. Chauris L. (1982), Les sables lourds des plages du Mor Bras – Introduction à l’étude des placers littoraux en Bretagne Méridionale, Bull. Soc. Sc.nat.Ouest de la France, nouvelle série, tome 4, (1), p. 37. J-F LANOE, Inv. 0735-26, Natives éléments / Copper and Nickel. Zaccarini, F., Stumpfl, E.F., and Garuti, G. (2004) Zirconolite and Zr-Th-U minerals in chromitites of the Finero complex, Western Alps, Italy: evidence for carbonatite-type metasomatism in a subcontinental mantle plume. Canadian Mineralogist, 42, 1825-1845. Kyaw Thu (2007): The Igneous Rocks of the Mogok Stone Tract: Their Distributions, Petrography, Petrochemistry, Sequence, Geochronology and Economic Geology. Ph.D. Dissertation, Department of Geology, University of Yangon, Myanmar. (Reprinted by palaminerals.com) ; Shigley, J. E., Laurs, B. M., Janse, A. J. A., Elen, S., & Dirlam, D. M. (2010). Gem Localities of the 2000s. Gems & Gemology, 46(3). [www.johnbetts-fineminerals.com]; Jan, M. Q., & Khan, M. A. (1996). 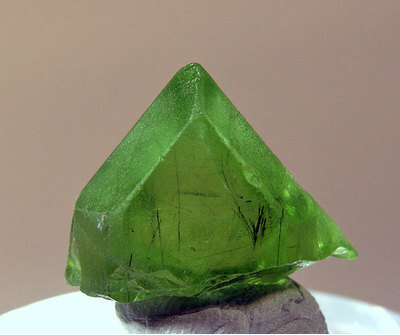 Petrology of gem peridot from Sapat mafic-ultramafic complex, Kohistan, NW Himalaya. Geological Bulletin, University of Peshawar, 29, 17-26. Adam J.R. Kent and George R. Rossman. 2002. Hydrogen, lithium, and boron in mantle-derived olivine: The role of coupled substitutions. American Mineralogist, Volume 87:1432–1436. Bromfield, C.S. & Shride (1956), Mineral resources of the Sanm Carlos Indian Reservation, AZ, USGS Bull. 1027-N: 686. Bromfield, C.S. & Shride (1956), Mineral resources of the San Carlos Indian Reservation, AZ, USGS Bull. 1027-N: 686-687. Merrill, F. J. H. 1914. Geology and Mineral Resources of San Diego and Imperial Counties: Gems, Lithia Minerals. California State Mining Bureau, San Francisco, Cal. California State Printing Office. Chapter 2, p. 110.